May 18, 2017 (Tony Cartalucci - LD) - In reality, socioeconomic ideologies like socialism, communism, capitalism, agorism, and anarchy are like tools. They are best used under specific circumstances dictated by reality, and just like tools, are best used in combination or sequence toward achieving a certain end. Healthcare provides a perfect example of this. All can most likely agree that one shouldn't die simply because they cannot afford healthcare. The current state of healthcare - particularly in terms of infrastructure and technology - means that in order to provide healthcare to individuals who cannot afford it "socialist" style policies and charity is required. However, neither is a sustainable or final solution - merely an incremental step toward one. Free market competition, collaboration, entrepreneurship, and the advance of medical technology makes it cheaper and more accessible for everyone, including those who cannot afford it at current costs. Incrementally, research and development will yield healthcare infrastructure and technology even the poorest can afford without government intervention or charitable organizations. A combination of socioeconomic ideologies used to achieve this represents a process rooted in reality - not divorced from ideology - but utilizing socioeconomic ideology as practical tools toward a specific goal - and using them in combination and sequence to get there. In a transition from healthcare today to a future where it is affordable and accessible to all, individualists and free marketeers will ultimately come out on top. Ironically, they can never do so until they make the transition today from temporary stop gaps to sustainable solutions tomorrow. Unfortunately for many, socioeconomic ideologies are viewed more like "sacred cows" they jealously protect from contact with anything even remotely removed from its place along the socioeconomic ideological spectrum. And like a sacred cow, ideologies thus become an object of adulation rather than anything practical. For individualists, free marketeers, capitalists, and other stripes right of the socioeconomic ideological spectrum, the notion of socialist healthcare is unacceptable under any circumstance. Despite being unable to implement immediate alternatives for addressing people unable to afford healthcare now, or any road map toward a future where healthcare is affordable without socialist schemes, they categorically reject even temporary measures and stop gaps. This is because they put their ideology ahead of reality and by doing so fail to address and solve both real problems and more ironically - fail in moving society any closer toward their own ideologies of choice. 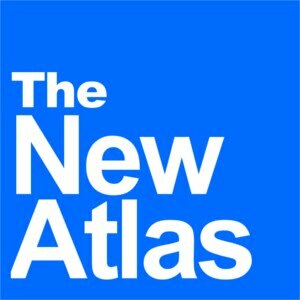 April 30, 2017 (Tony Cartalucci - LD) - The fundamental problem with free market proponents is that many fail to realize we already have an absolutely, 100% free market. Within that free market, a clique of incredibly wealthy, well connected, and well organized individuals have decided to use their freedom to create "governments" they influence, media they control, police who impose by force their will upon populations, a military to either protect their racket or project it beyond their current areas of operation, and all else we associate with "statism." The fact is, should we be able to push a button and suddenly render Earth a government-free planet, the first order of business wealthy, well-connected, well-organized individuals will do is band together to create gangs, then mafias, then governments, then supranational blocs, until they then move on to pursue global hegemony as they chaff against competing factions doing likewise - entrapping the rest of us within their self-serving struggle. This of course does not render void the ideology of agorism or anarchy. Neither does it negate the positive, practical aspects of the modern nation-state. What it does is illustrate a matter of practicality versus principles and the necessity to balance them realistically. The above scenario unfolds the way it demonstrably does on a daily basis and since the beginning of time because wealthy, well-connected, well-organized individuals are able to successfully hone and wield the tools of physical force better than any of their competitors. Imagining again the scenario where the world is suddenly rendered government-free, these individuals would simply eliminate by force those attempting to impose upon them limitations preventing them from imposing their will involuntarily upon others. Without a sufficient means of deterrence, gangs, mafias, governments, and supranational blocs will run roughshod over any and all who stand between them and greater wealth and influence. To prevent a gang, mafia, government, or supranational bloc from expanding further, it requires an equal but opposed center of organized power arrayed against it. Imagining the scenario where the world is suddenly rendered government-free, in order to prevent wealthy, well-connected, well-organized individuals from imposing their will upon others, an equitable balance of power would need to be established. This could entail various means of decentralization where individuals were able to possess equal but opposed means of self-defense, monetary exchange, manufacturing, communication, energy production, and all other essentials currently monopolized by the world's existing centers of power. 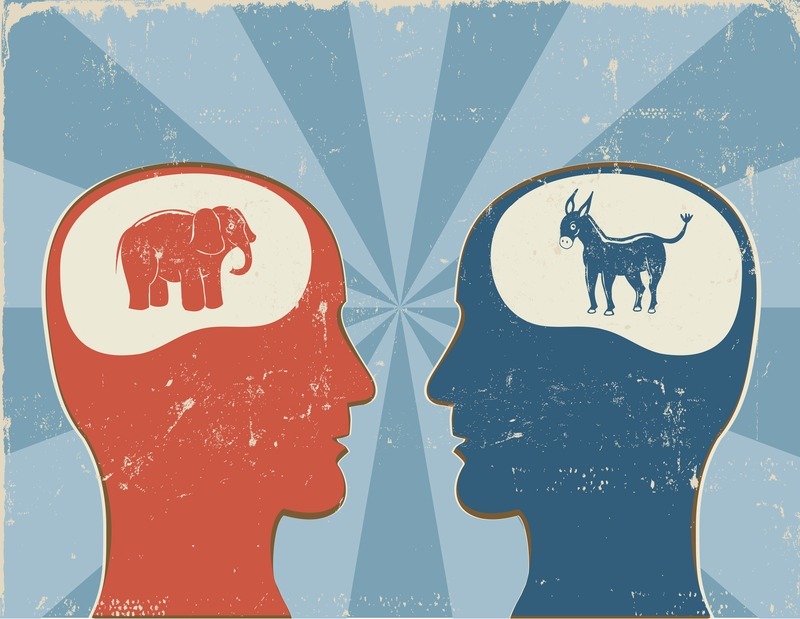 February 7, 2017 (Tony Cartalucci - LD) - Talk of "resistance" ebbs and flows as political parties enter and leave power. The one constant among this turbulent process is the futility and impotence of these so-called "resistance" movements ignited and left to burn. When President Donald Trump took to the White House in January 2017, such calls were once again made to "resist" the new president and all the perceived evils he represented. However, so confused and detached from reality are these calls, that no such resistance has even the remotest possibility of improving America's plight, with a much more likely possibility of actually making that plight worse. ...a political situation in a country when an internal organ ("deep state"), such as the armed forces and civilian authorities (intelligence agencies, police, administrative agencies and branches of governmental bureaucracy), does not respond to the civilian political leadership. And the reality is, within every nation exists a deep state of one sort or another. Excluded from Wikipedia's definition are "internal organs" comprised of corporate-financier interests with unwarranted wealth and influence on scales that likewise allow them to "not respond to the civilian political leadership," or even directly and fully control that civilian political leadership altogether. Beyond mere conspiracy theories, leaked e-mails made available by Wikileaks from 2008 - one month before President Barack Obama won the 2008 election - reveal how Citibank's Michael Froman provided a list to John Podesta laying out virtually the entire cabinet of the soon-to-be president. Citibank's parent company, Citigroup, reported annual net profits for 2016 at around 15 billion US dollars. This is enough money to provide 1 million dollars in bribes to every member of the US Congress, in both the Senate and House of Representatives, and still maintain the vast majority of its wealth. And Citigroup is just one of many immense, corporate-financier monopolies not only cohabitating upon Wall Street, but cohabitating upon the boards of directors and sponsorship lists of America and Europe's most influential policy think tanks. 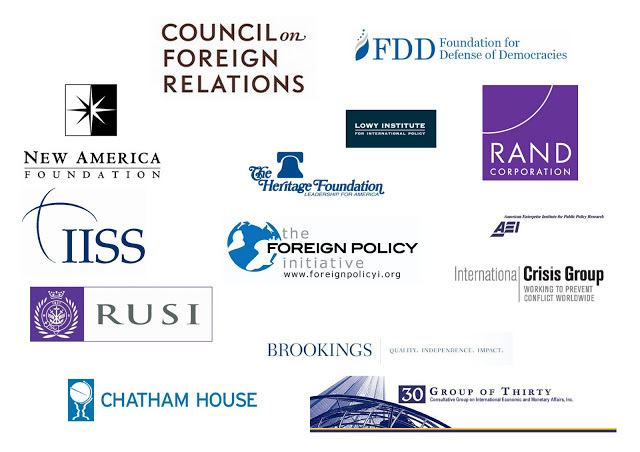 Think tanks are forums within which unelected corporate-financier funded policymakers devise and promote policy on behalf of their benefactors. They represent the collective interests of multiple multi-billion dollar multinational corporations, banks, and other institutions. 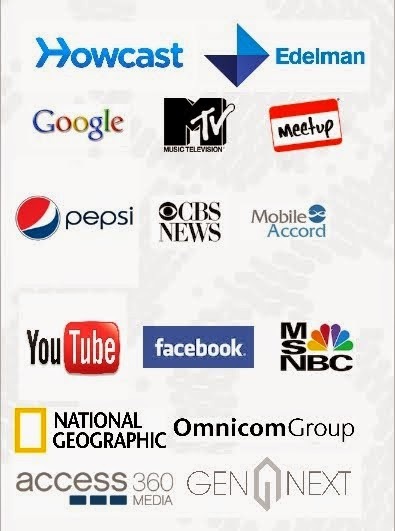 They often have ties directly to corporate-media platforms, with corporate-media figures either included within think tank boards of directors, or their media platforms servings as corporate sponsors, or often, both. Policy is not only devised and promoted from within think tanks and by media platforms associated with them, but this policy inevitably ends up in the hands of corporate lobbyists, who in turn, place it in the hands of both US legislators and staff in the White House itself. The Hill in an article titled, "Top Lobbyists 2016: Hired Guns," enumerates specific lobbying firms, while The Hill's article, "Top Lobbyists 2016: Corporate," enumerates specific, prominent lobbyists and the corporations they work for. While many Americans may envision the US President bent over a desk, penning US policy in the Oval Office at night, in reality, US policy is merely rubber stamped by presidents and congress members - many times having not even read the bills and policies they are signing off on. This is the very definition of a deep state that not only ignores civilian political leadership, but exercises absolute control over that leadership's selection and administration. November 17, 2016 (via The Corbett Report) - James Corbett of The Corbett Report lays out the dimensions of a very real revolution already taking place. It is built upon pragmatic, technical solutions that liberate us from centralized monopolize of power, industry, finance, and society. 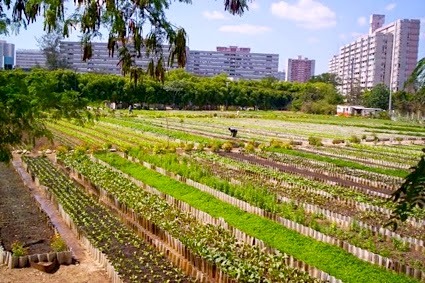 Other articles, like this one from LocalOrg, relay a similar message, and together this quiet, "untelevised" revolution is already making a difference around the world - whether it is the organic food movement shifting the tides against big-ag, or the alternative media shifting the balance of power away from state-sponsored propaganda. You do not need to wait for the next election to oppose a system you see as corrupt. There are things you can do in your everyday life to deny this system your time, money, attention, and money, and direct it all towards building the sort of world you truly want to live in. Read more at The Corbett Report here. 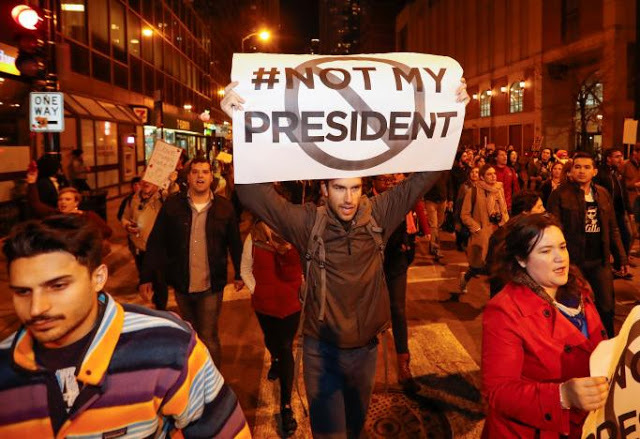 November 13, 2016 (LocalOrg) - Across America, protests have broken out. They are small, poorly organized, and poorly led. They lack any realistic goal, so clearly, lack any actual plan to achieve any sort of goal. And unfortunately, they have become violent, embodying the very sort of hate, intimidation, and victimization the protesters claim they are fighting against. 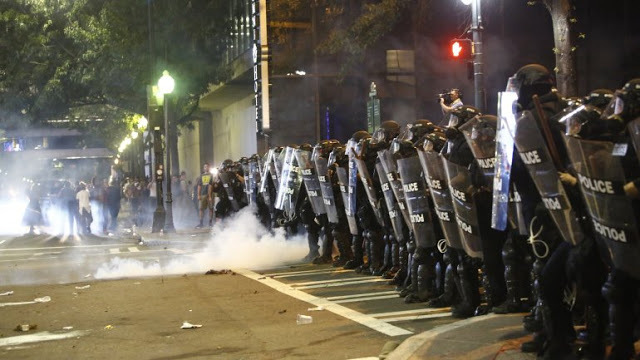 The truth is, as the protests currently exist, no matter how long they persist or how big they get, they will accomplish nothing positive, and instead, invite a wide variety of very serious negatives. All Americans, and those overseas looking in, must logically admit that neither Hillary Clinton nor now President-elect, Donald Trump, truly represented the American people. Neither were drawn from the people, neither have a record of service to the people, and both have been deeply entrenched in a corrupt system dominated absolutely by corporate-financier special interests. In many ways, both Clinton and Trump in fact constitute those special interests. This reality means that it is not "Clinton" or "Trump" that either side was voting for or against, but different aspects of the same corrupt system they find abhorrent and in desperate need of changing. It was not "Clinton" or "Trump" that people were voting for, but their opponents they were voting against. It was not the arguments each candidate made that convinced them, it was the arguments of candidates and commentary by the corporate-media that repelled them. It is a singularly corrupt system, using smoke and mirrors to convince at least a part of society to support at least a part of its continued existence, under either "right" or "left" cover. But the truth is, it is not Trump supporters, and not Clinton supporters - none of the American people who are "deplorables." It is the system that is deplorable. It is the corporate-financier special interests who are deplorable for monopolizing and dominating every aspect of the American people's lives for profit and power. It is the politicians who are deplorable for selling themselves to these interests while posing as public servants and representatives. It is the corporate media who helps both special interests and their pet politicians pander to the public, mislead them, confuse them, and most deplorable of all, divide them against one another. January 9, 2016 (Tony Cartalucci - LD) - Despite a few superficial similarities, the difference between the rebellion in eastern Ukraine and armed Oregon ranchers standing off with the US federal government couldn't be greater. A lack of understanding regarding the nature of power and how it is brokered has led to many mistakenly believing there is any merit to what the Oregon ranchers are doing, besides providing an example of precisely how not to stand up against increasingly tyrannical special interests. This is not to say the ranchers, or even Occupy Wall Street should not be standing up against the US government, it is just that they are going about it in completely the wrong way - compounding their problems, not solving them. Perhaps by examining the numerous and critical differences between the Donbass fighters and the Oregon ranchers, readers can see the chasm between the two, and perhaps how, in certain aspects, to bridge that chasm. 1. 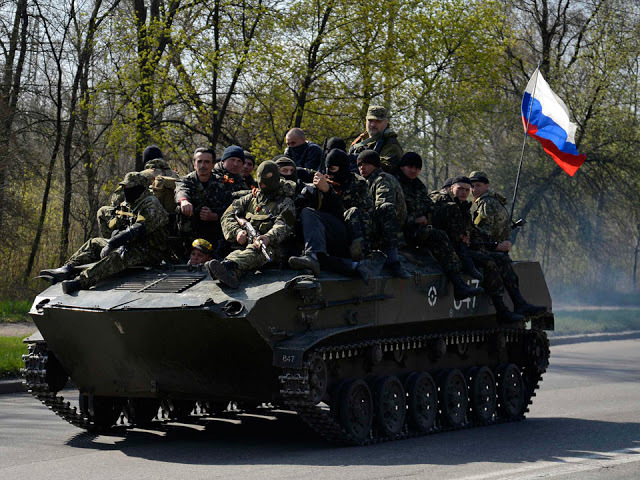 Backing: Donbass has the backing of a superpower - Russia. This includes substantial backing across the media, in terms of political support, and logistical and military support ranging from the implicit threat of Russian retaliation should Kiev and its NATO backers step over certain lines, to - according to NATO - direct military assistance. 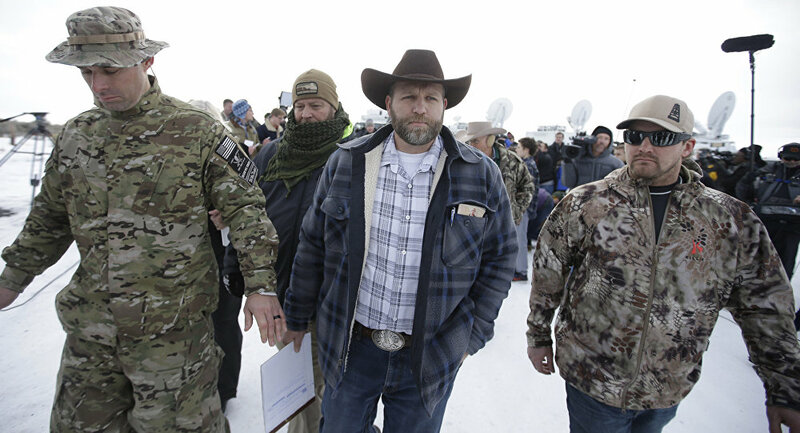 In all likelihood, the only superpower backing the Oregon ranchers is the US federal government itself - not a single militia in the US has gone un-infiltrated in the last several decades. Geopolitical analyst Eric Draitser in a recent piece admits he is unsure of the true motives and intentions of the Oregon ranchers, but has dug up a significant amount of information casting serious doubts over not only their objectives, but the very character of its leadership. 2. Weaponry: The Donbass fighters have a standing army which includes machine guns, military-grade rifles, rockets, missiles (including anti-aircraft systems), artillery, counter-battery radar, and even main battle tanks. They have the infrastructure to resupply front lines with food, weapons, and fuel, and the ability to protect their logistical lines leading to and from areas of engagement. The Oregon ranchers have 5.56mm rifles, which can be quickly overwhelmed by numerical superiority, superior firepower, and armor - of which the federal government has all in much abundance. January 7, 2016 (Tony Cartalucci - LD) - The showdown between armed ranchers and federal agents in the US state of Oregon has triggered passionate debates not only about the particulars of the standoff itself, but the precise manner in which people should stand up against an increasingly overbearing government and the corporate-financier special interests that have commandeered it. Wall Street and Washington have left the country itself in socioeconomic shambles. Abroad, these collective special interests are subverting nations politically and economically from Venezuela to Southeast Asia, waging war throughout North Africa and the Middle East, while propping up criminal client regimes in nations like Ukraine. A handful of armed ranchers with a few boxes of supplies, who live within and are completely dependent on a system controlled by the very special interests they are standing up against, will do little to change the military, economic, political, and social factors that add up to the above described global equation. The ranchers' supply cache looks like it was picked up from one of America's many mega-retailers, the literal consumerist feeding troughs that keep the American people perpetually in servile dependence, and the Fortune 500 deeply entrenched amid the unwarranted power and influence it has enjoyed for decades and is able to wield at home and abroad with virtual impunity. It is not unlike a group of American G.I. 's trying to fight the Germans during WW2, while buying German rations, from the Germans, all while leaving German supply lines completely intact. They would not only be preserving their enemy's source of strength to fight, but paying into it. The harder they "fought" the more supplies they would need, and the stronger their enemy would become. The ranchers' standoff, from a purely strategic point-of-view, is already a failure. No matter who is really behind it, and no matter how it plays out, the actions of the ranchers at best will cause the government to back down on this one particular issue, and only for this particular case At worse, it will only further justify the growing police state evolving within America's borders. Regardless, it will do absolutely nothing to change the balance of power enabling Wall Street and Washington at home or abroad. A growing tyranny is not entirely unlike an insurgency. The terms insurgency and counterinsurgency can quickly become confusing in a politically motivated context. However, generally speaking, an insurgency seeks to overthrow an established institution or political order, while a counterinsurgency seeks to maintain that order. November 12, 2015 (Tony Cartalucci - LocalOrg) - Gene therapy is a game changer. It is not a treatment for diseases. It is a cure. Image: Gene therapy works by reprogramming an ordinary virus to delivery modified genes to human cells. Once introduced, the modified genes are replicated by natural cell division. 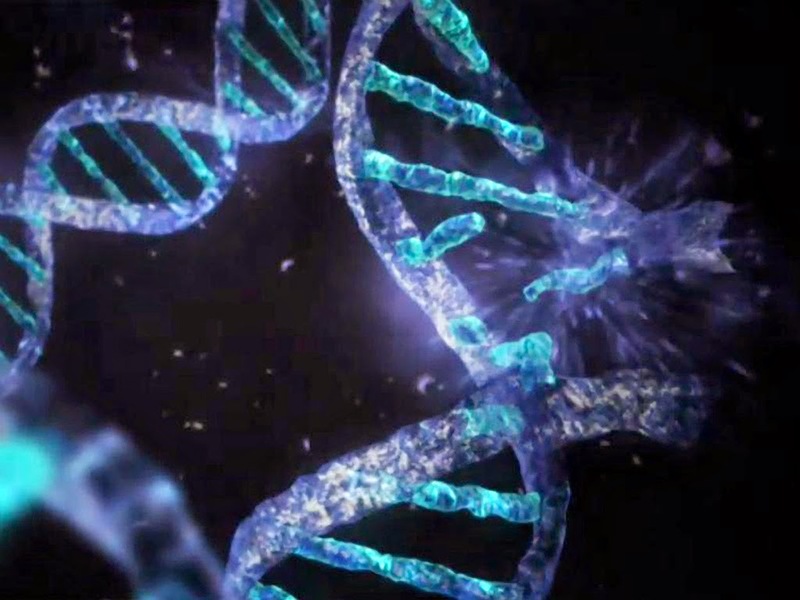 Missing or defective genes, over time, can be replaced by repaired genes, reprogramming the immune system to eradicate otherwise incurable diseases, or creating function in defective systems, curing blindness, deafness, diabetes, and even effects owed to aging. It is a cure for cancer, genetic defects, blindness, deafness, diabetes, even potentially aging. It has already proven effective in clinical trials, curing people of leukemia who were otherwise certain to die, giving people their sight back, and already, there is one therapy approved for use in the European Union with several others approved in China. The most remarkable aspect of gene therapy is that it overwrites your DNA once, then your cells replicate that new DNA each time they divide. In essence, the cure becomes a permanent part of you. One shot, one cure, for life, or close to it. Why Haven't We Heard More About This? As remarkable and as promising as gene therapy is, it poses an immense threat to the established healthcare industry. A shot in clinical trials using experimental equipment that costs only 20,000 USD to produce that cures leukemia, if brought into mainstream medicine would be cheaper still, and undercut existing and ineffective"treatments" that can reach costs in the hundreds of thousands of dollars. Gene therapy, then, is essentially a disruptive technology that brings various healthcare rackets to an abrupt halt along with all the vast wealth and unwarranted power and influence big-pharma has enjoyed over the decades. Image: Dr. Carl June (center) led a team that developed a breakthrough gene therapy that effectively reprograms the immune system to hunt and kill leukemia cancer cells. Most of the patients, otherwise sure to die from their cancer, have gone into permanent remission. How can big-pharma continue on with its monopolies, wealth, and influence by curing everyone with one shot that costs almost nothing to make? Their strategy is two-fold. First, they have intentionally dragged their feet for as long as possible until they can figure this problem out, letting people die of now curable diseases simply because they want to protect their existing business models and bottom lines. Second, they have begun to mold public opinion through intense lobbying across the media and medical journals, ignoring the actual costs involved in producing the therapies, and instead cashing in on what they think it is worth to people, or in other words, dangling cures for crippling, deadly diseases over dying and/or desperate people's heads, and seeing how much they are willing to pay for them. October 16, 2015 (Tony Cartalucci - NEO) - The Syrian conflict is profoundly misrepresented across the entirety of the Western press. To call it a civil war is a gross mischaracterization. 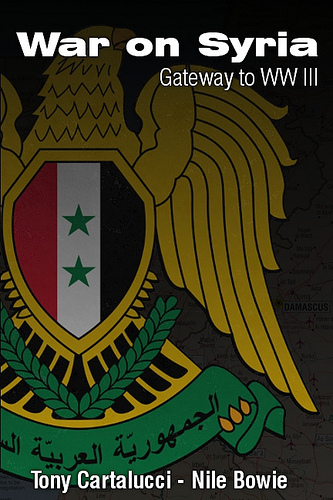 The entire conflict was engineered and fueled from beyond Syria's borders. And while there are a significant number of Syrians collaborating with this criminal conspiracy, the principle agents driving the conflict are foreigners. They include special interests in the United States, across the Atlantic in Europe, and regional players including Turkey, Saudi Arabia, Qatar, and Israel. Image: Within the source of the problem, no solution can be found, unless the solution is removing from existence the source. 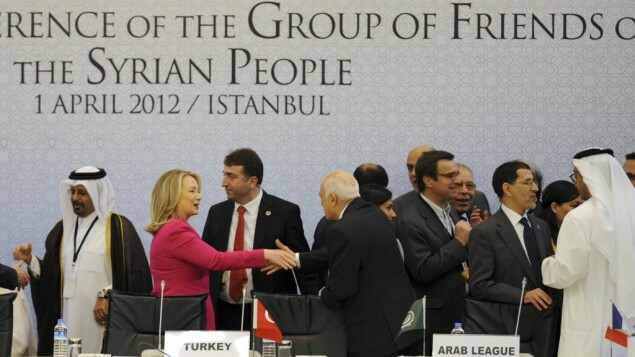 Syria is far from an isolated conflict. America's interest in dividing and destroying Syria is part of a much larger agenda serving its aspirations both in the region and globally. The division and destruction of Syria as a functioning, sovereign nation-state is admittedly meant to set the stage for the conquest of Iran next. Reuters recently published an op-ed titled, "Syria’s one hope may be as dim as Bosnia’s once was," which argues that the only way the US can cooperate with Russia regarding Syria is if all players agree to a weakened, fragmented Syria. If this scheme sounds familiar, that is because this op-ed was authored by Michael O'Hanlon, a senior fellow at the Brookings Institution - a corporate-financier funded think-tank that has in part helped engineer the chaos now consuming the Middle East and North Africa (MENA). O'Hanlon previously published a paper titled, "Deconstructing Syria: A new strategy for America’s most hopeless war," in which he also calls for the division and destruction of Syria. In it, O'Hanlon calls for the establishment of "safe zones," the invasion and occupation of Syrian territory by US, European, and Persian Gulf special forces, the relaxing of criteria used to openly fund what would essentially be terrorists operating in Syria, and openly making the ousting of the Syrian government a priority on par with the alleged US fight against the so-called "Islamic State" (ISIS/ISIL). "Relaxing" criteria regarding who the US can openly fund and provide direct military support for, is nothing less than tacit support for terrorism and terrorists themselves. But none of these treacherous methods should be shocking. That is because O'Hanlon is also a co-author of the 2009 Brookings Institution report titled, "Which Path to Persia? Options for a New American Strategy toward Iran" (.pdf). In this signed and dated criminal conspiracy, methods for covertly overthrowing the Iranian government with US-backed mobs augmented with armed militants, the use of US listed foreign terrorist organizations to wage a proxy war against Iran, the provocation of open war with Iran, and the use of Israel to unilaterally attack Iran first, before bringing America inevitably into the war shortly after are all described in great detail throughout the 156 page report. October 10, 2015 (Tony Cartalucci - LD) The October 8, 2015 US Senate Committee on Armed Services hearing titled, "Russian Strategy and Military Operations," gave viewers an instructive snapshot at the current state of America's dwindling power. Image: Western governments have their populations cowering in fear over "refugees" invading and destroying their "Western culture," successfully distracting them from true cross-border invaders - multinational corporations whose unwarranted power and influence has done more to destabilize, destroy, steal, plunder, and ruin global populations than any boatload of refugees could hope to accomplish. The hearing is one of many interfaces between corporate-financier funded policy think tanks and the politicians who will ultimately rubber stamp their schemes and designs into law. It consists of a panel of bought-off, self-serving senators, listening to think-tank academics with no practical experience along with retired generals drawing paychecks by keeping big-defense, big-oil, big-ag, big-finance, and others well fed. This particular hearing included Heather Conley of the Center for Strategic & International Studies (CSIS) (donors here), Stephen Sestanovich of the Council on Foreign Relations (CFR) (donors here), General James Jones (USMC ret.) now of the Brent Scowcroft Center On International Security of the Atlantic Council (donors here), and Generael John Keane (US Army, ret.) of the Institute For The Study Of War (ISW) (donors here). 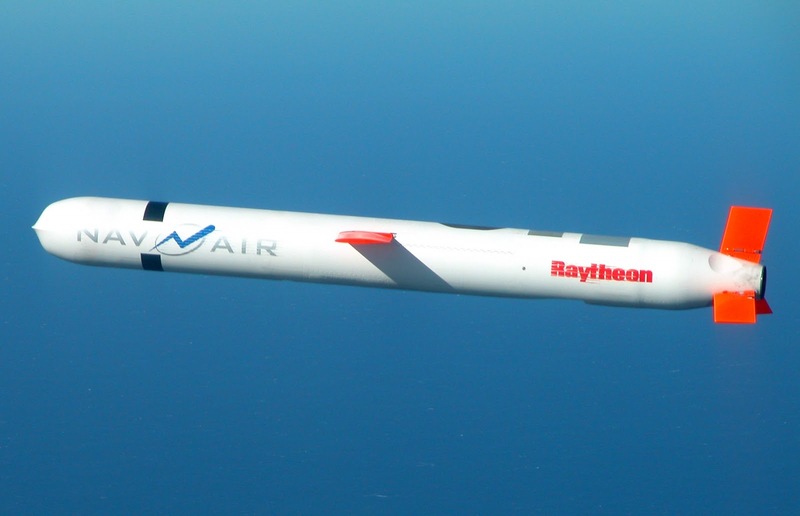 Image: This Tomahawk cruise missile was brought to Libya by, Raytheon - a corporate sponsor of the Atlantic Council, CSIS, and CFR - all of whom helped engineer, sell, and execute the war in the first place. Each witness providing testimony is a member of a corporate-financier funded and directed policy think tank. Looking through their donors and boards of directors, one sees several common denominators - big-oil, big-defense, big-agriculture, big-pharma, big-finance, and other big-businesses forming the foundation of Wall Street and Washington's current power structure. Considering that the issues being discussed before the US Senate Committee on Armed Services revolve around the application of military force throughout the world toward achieving not the territorial defense of the United States, but defending what are called US "interests" abroad - including the encirclement, containment, and eventual overthrow of geopolitical and socioeconomic competitors - immense conflicts of interest are obvious. In fact, it is clear that these corporate-financier interests are the primary force driving US foreign policy and military planning. And what we can do to stop it. 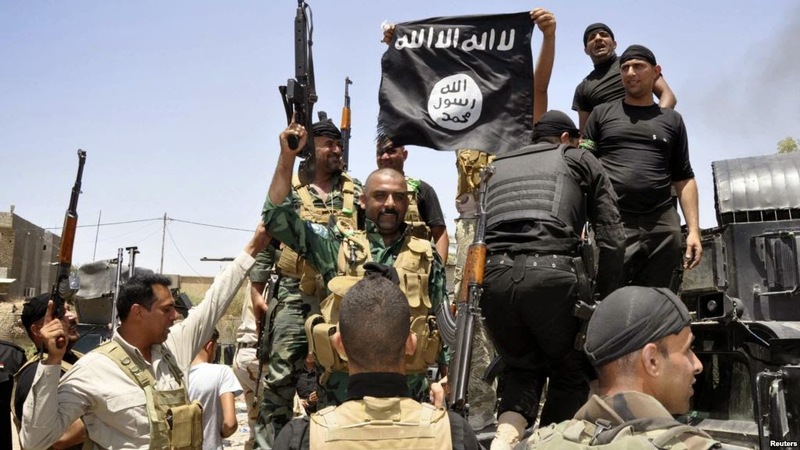 March 6, 2015 (Tony Cartalucci - LD) - Corporate-financier interests driving US foreign policy have long ago conspired to use Al Qaeda and other sectarian extremist forces to create a Pan-Arabian mercenary force with which to fight their enemies. Warned about in 2007 in a prophetic 9-page report by veteran journalist, two-time Pulitzer Prize-winner Seymour Hersh, then exposed through documented evidence over the course of the past four years, and now incontrovertibly unfolding before the world's eyes, this criminal conspiracy against world peace and all of humanity can be seen in its full, horrific form. The war special interests in the United States along with its co-conspirators plan to wage across the planet encompasses not only the Middle East and North Africa, but also Russia, China, and beyond. It threatens the lives, peace, and prosperity of all on Earth. If it is not exposed, and the special interests driving it not undermined, uprooted, and purged from humanity, none will escape the dark days that inevitably lie ahead. It was in 2007, in the New Yorker, that veteran journalist Seymour Hersh published his lengthy, prophetic report, "The Redirection Is the Administration’s new policy benefitting our enemies in the war on terrorism?" 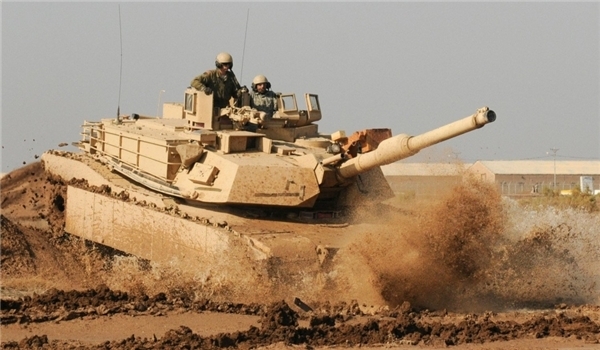 Within it, Washington, Riyadh, and Tel Aviv were exposed amidst a criminal conspiracy to use sectarian extremists in a proxy war against Iran and its allies in Syria and Lebanon. The impending conflict was described as "cataclysmic." And because the conspiracy was exposed during the administration of US President George W. Bush, attempts by the establishment to compartmentalize current, and increasingly more obvious support by the US of Al Qaeda and the so-called "Islamic State" by characterizing it as a misstep or even "treason" by the administration of US President Barack Obama, is merely a political ploy. It is clear that instead, the policy and its execution across two supposedly diametrically opposed political parties, is an example of "continuity of agenda." 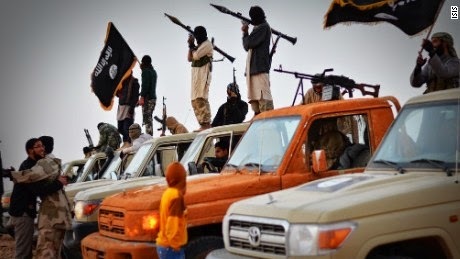 And while the political "right" in the United States in particular feigns outrage and suspicion over the Obama administration's ties and support for sectarian extremist organizations, including the Muslim Brotherhood and factions with direct ties to Al Qaeda, it was exposed in Hersh's 2007 article that the Bush administration had in fact initiated this support. Obama keeping the Oval Office's chair warm while this policy continues. January 20, 2015 (Ulson Gunner - NEO) - The toughest, most resilient people as both individuals and as societies all generally have one thing in common - self-sufficiency. This by no means suggests isolationism, but rather the ability to survive, even thrive through one's own work using resources at their own disposal. As a principle, self-sufficiency, self-reliance, and individualism defined young nations like the United States, catapulting it upon the world stage as a global leader after spending time racked in debt and in England's shadow. By establishing its own industry, its own institutions (including those of a financial nature) and its own military might, the United States transcended the tangled webs of interdependency locking Europe's ever-shifting, fragile alliances together. The evolution of human civilization along the lines of socioeconomics and technology has changed the roles, effectiveness and relevancy of those industries and institutions that had once made America great and in turn, those nations that had attempted to emulate such features have now all found themselves within the same boat - the boat of globalization. Ferguson and the False Promise of "Revolution"
November 26, 2014 (Tony Cartalucci - LD) - When faced on the battlefield with a numerically superior enemy, one must attempt to divide his enemy into smaller, more easily dispatched opponents, or even more ideally, divide them against one another, and have them defeat each other without ever drawing your sword. For Wall Street's 0.1%, divide and conquer is a way of life. At the conclusion of the Anglo-Zulu War, the British despoiled Zululand, divided it into 14 separate cheifdoms, each led by a proxy obedient to the British Empire. The British ensured that these 14 cheifdoms harbored animosities toward one another and fostered petty infighting between them to ensure British interests would never again be challenged by a unified Zulu threat. Before the British, the Romans would employ similar tactics across Germania and Gual. 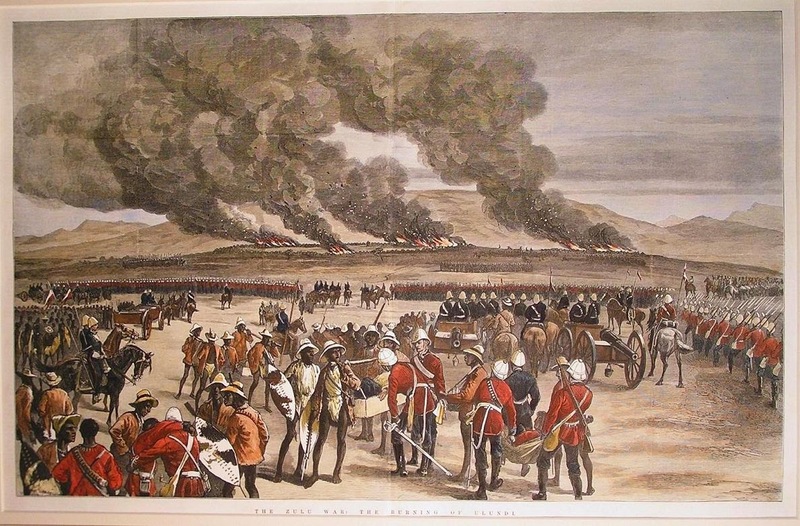 Image: Zululand lies in flaming ruins, its legendary army decimated, but the British were not about to take any chances of allowing them to unite and resit again. They divided the defeated nation into 14 chiefdoms each headed by leaders harboring dislike for the others ensuring perpetual infighting and a divided, weakened Zululand never again to rise and challenge British subjugation. In this way, the British Empire and the Romans managed to not only decimate their enemies, but by keeping them perpetually infighting, divided, and at war with one another, manged to keep them subservient to imperial rule for generations. 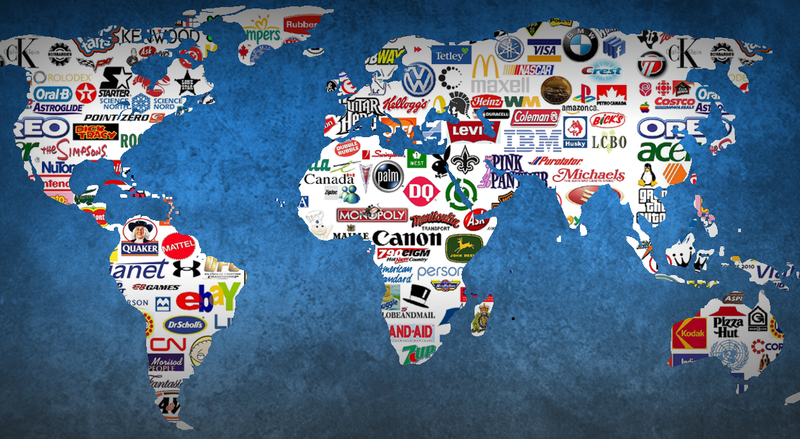 But one would be mistaken to believe that imperialism is only waged abroad. Imperialism is as much about manipulating, controlling, and perpetuating subservience at home as it is projecting hegemony abroad. For the imperialist, all of humanity represents a sea of potential usurpers. The systematic division, weakening, and subjugation of various social groups along political, religious, class, or racial lines has proven an ageless solution for the elite. 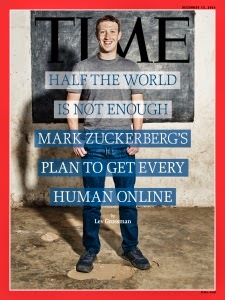 November 11, 2014 (Tony Cartalucci - LocalOrg) - Facebook is a problem. It is undoubtedly being used by special interests to manipulate and monitor entire populations both within the United States and well beyond. It represents a tool that in no way serves the people actually using it, and instead allows special interests to use the users. It is a dream global panopticon for the abusive dictators that run Western society and presume dominion over what they call an "international order." But in order to counter this threat, Facebook cannot simply be "replaced." It specifically, and what it represents, must be disrupted entirely. Facebook has been at the center of several recent controversies that are increasingly leaving users disillusioned and in search of alternatives. 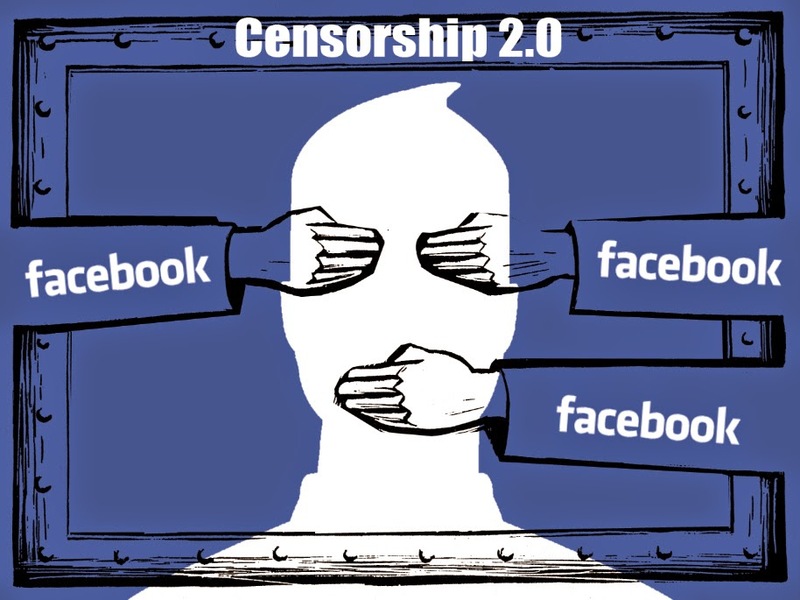 At the center of these controversies is Facebook's "news feed" feature. Ideally, news feed would work by showing on your timeline updates from those individuals and organizations you follow. There are two options for news feed - "most recent" and "top stories." Facebook has decided to upend this feature by insidiously controlling what appears on your news feed regardless of which option you select. Now, you will no longer receive regular updates from accounts you follow, and instead will see a "filtered" version determined by Facebook's algorithms. Many Facebook users are unaware of this fact and are perplexed as to why they are no longer receiving regular updates from accounts they follow. Facebook's real motivation is more likely a combination of implementing soft-censorship and an effort to monetize news feeds by forcing content makers to pay in order to access people already following them. What's left is wealthy content makers like large corporate media outfits monopolizing the public's attention whether the public wants it or not. November 2, 2014 (Tony Cartalucci - LocalOrg) - Disruptive technology is that which overturns an industry unable to adapt or evolve to meet competition enabled by a technological edge. This has occurred across various media industries - from the newspaper to large network news channels, to music and movie producers - the dropping cost of entering the market and competing either directly or by undermining previously monopolized channels of distribution have challenged special interests' grip on information. Many have predicted such a disruption across other industries beyond the digital world and within the physical, tangible world. 3D printing, more than any other technology, has served as the bridge between digital and physical disruption. The ability to turn digital files into physical objects allows people to design, scan, share, and send digital representations of physical objects just as they can images or text online. With 3D printers, these objects can be printed out in an increasingly larger number of materials and with ever improving resolution. They can also, at times, be printed out for far cheaper than it would be to buy them from a traditional manufacturer. Image; 3D printing has begun disrupting businesses in the physical world just as file sharing has disrupted media businesses in the digital world. Here, a user printed out their own tabletop game pieces, saving hundreds of dollars in the process. It appears the first industry to be hit by the disruptive power of 3D printing are those that produce small plastic objects. This includes British-based tabletop game company, Games Workshop (GW). 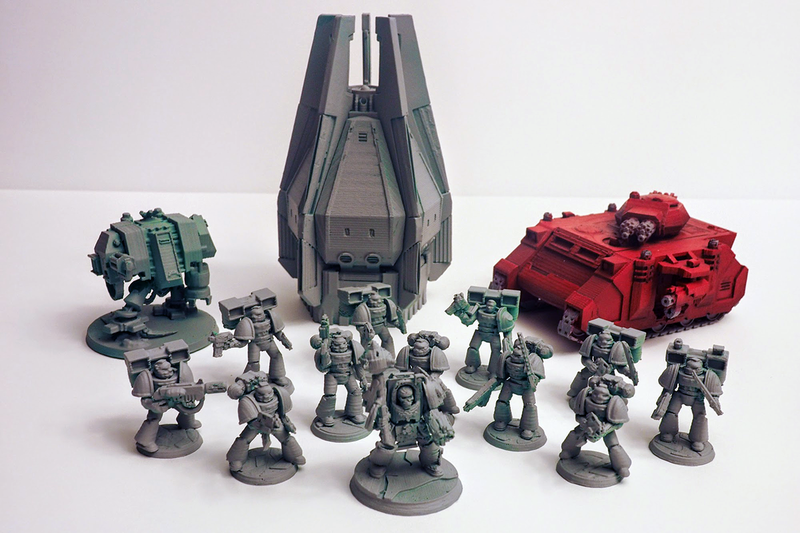 GW produces miniature plastic game pieces for strategic games that could be compared to very elaborate chess. These pieces can be prohibitively expense to collect in the large numbers necessary to play a game - and it should be remembered that at least two sets are required. Whatever the cause - conspiracy or incompetence - the recent Ebola outbreak illustrates the dangers of centralized globalization, and opens the door to possible solutions. 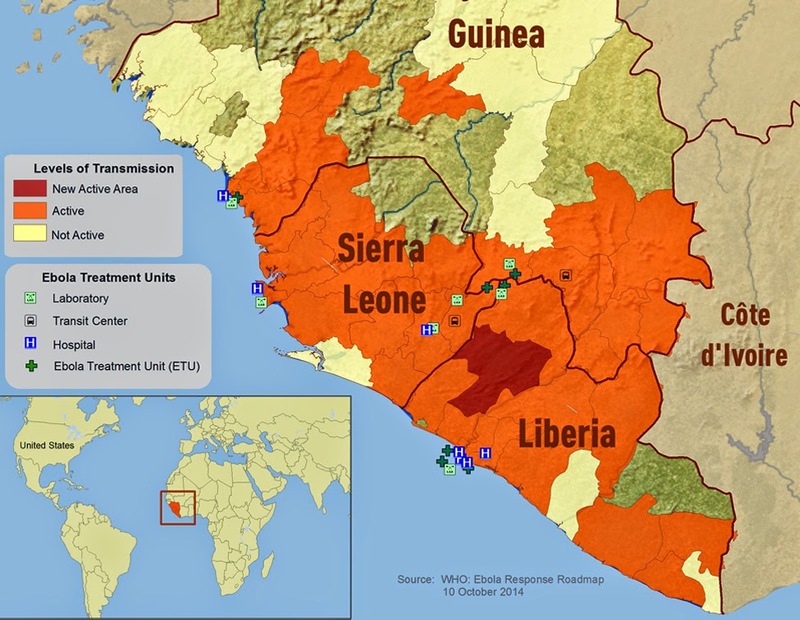 October 13, 2014 (Tony Cartalucci - LD) - Ebola Viral Disease (EVD) has surfaced in West Africa in an unprecedented outbreak infecting and killing thousands according to the United States Centers for Disease Control and Prevention (CDC). The epicenter appears to be centered between Guinea, Sierra Leone, and Liberia - the former being where the first case was reported, the latter being hit the hardest. Other nations including Senegal, Nigeria, and Mali have had cases reported but were contained and the spread of the disease there appears to have stopped. Nations like Uganda who have grappled with Ebola and similar diseases have yet to be affected and are believed to have suitable measures in place to zero in and contain the virus. Beyond countries in West Africa, Spain, the United States, Brazil, and now Germany have reported travel-associated cases of Ebola as well as infections of health workers who apparently breached protocols while handling infected patients. The Ebola virus itself has an incubation period of between 2-21 days. It is not believed to be infectious until symptoms begin to form, however, it can cause infections for up to seven weeks after a patient recovers. Because of its varying incubation period, those infected have between 2-21 days to travel before any form of "screening" currently being done at airports would detect a fever and therefore be able to identify, contain, and treat possible Ebola cases. This means that the infected could be traveling into foreign countries, well past ports of entry and screening points before their symptoms and ability to infect others begin to manifest themselves. Upon contracting Ebola, patients may begin to exhibit a fever and complain of abdominal pain but otherwise exhibit few other symptoms. It is only until later stages of the infection that Ebola may cause rashes and bleeding - and some patients never develop these symptoms at all. A complete list of symptoms is available at the CDC's website. Because of Ebola's incubation period, screening at airports is perhaps the least effective measure a state could put in place. Instead, and has been done throughout all of human history to contain contagious disease, nations with widespread infections should be quarantined - and travel bans placed on these nations by governments interested in preventing the spread of Ebola within their borders. Within an infected country, quarantines must be placed on areas where infections are present. 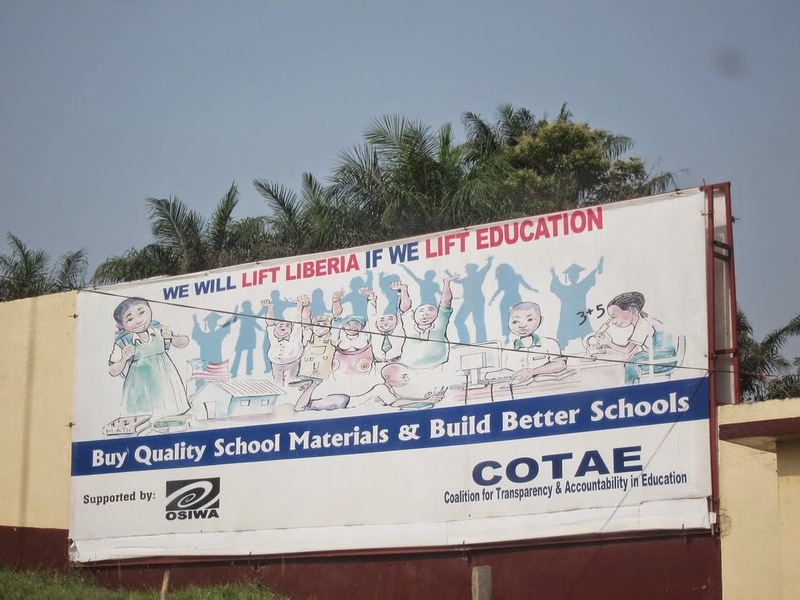 intervention in Liberia and has poured billions in cash in alleged "aid." 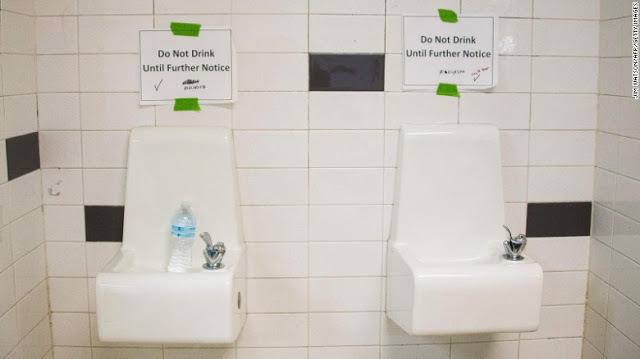 Despite the success quarantine has exhibited in the past, many Western policymakers have lobbied heavily against placing travel bans on infected countries or the notion of using quarantine procedures within infected countries. Open Society, a corporate-funded foundation that sponsors subversive political programs and so-called "civil society" within targeted countries, has been among the most vocal opponents of quarantining infected communities and countries. The current focus on quarantine presents a danger not only in the short run, but in the long run as well. 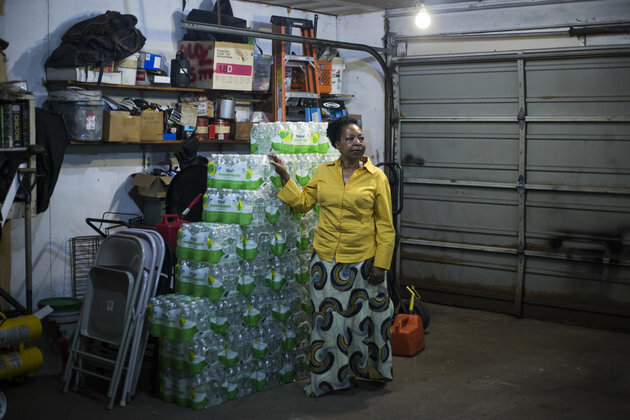 Quarantine forces farmers to leave their fields, freezes air travel in African cities, and slows the flow of food and labor. These interruptions can touch off longer, more complex health crises in the countries where Ebola is already weakening systems. Instead, the coalition that includes Partners In Health is training and equipping community-based health workers, with local partners such as Last Mile Health taking the lead. Community health workers are trusted neighbors who provide care while connected to a formal health system. This kind of community-based health response not only challenges the spread of Ebola and its fatality but also enables a new economic base and public health infrastructure. In essence, economic progress within the context of "globalization" and the continued work of Western NGOs like Open Society in building their own administrative networks and infrastructure to control all sociopolitical and economic aspects within nations like Guinea, Sierra Leone, and Liberia, takes precedence over actually stopping the spread of Ebola. While the notion of building better and more prepared healthcare infrastructure in such nations should be a priority, it is a long-term goal that will have no affect on stemming the spread of Ebola currently.